But it is much too early to think to Genos 2. I love to see a lot of improvements to Genos instead of making Genos 2 Especially it can be done! Won’t happen. Yamaha have settled on 76 keys for their top of the line keyboards, 61 for the PSR, and 88 for their Clavinovas. If it ever happens what makes you think there won't be a whole nest of new bugs to sort out. Bugs or not, as long as it is fixable with software updates and fixes coming out in not too long time after 'bug' reported, I guess most of us will end up as happy players. It's the end users who always ends up to be the real 'betatesters', and I doubt there will be a 'bugfree' first release, ever. Also, many users don't recognize any much bugs at all, simply because the waste majority don't dive as deep into the 'expert' mode as some does. Myself, I've past the days of 'into th deep dive' mode. Only do some easy edits and play to have fun, and does usually not find any bugs, if not real serious ones, before others tell us about them. You are 100 % right in MHO. The area in the red looks strange with its silver screws and and the plugs you must use are not as sturdy as the L-plugs I used the Tyros series. If you have a mic stand as I have attached to the keyboard stand and someone jerks your Genos it might even damage the protruding straight plugs and anyway the cable has to go downwards so the L plugs were more functional. But consumers want changes, look at at cars. I very much prefer the 2000 Range rover to the gimmicked look of the 2017 model. As well? Does having 61 keys make the keyboard a toy? I would not give a toy, as my PSR s970 to my son. I ask you which song you can play on a keyboard 76 and that you can not play on a keyboard 61? Tell me? It's not because you like to use a 76, it has its advantages, this does not disagree, it give you the right to treat musicians using 61 keyboards with children who are playing with a toy. The Genos 76 in the hands of many people can become a toy, while a PSR E453 can be a great keyboard in the right hands. For you to know, my toy (PSR s970) generates income for my family and I already made a lot of money with it. And yes, yamaha is a company that lives off its customers, from the moment they decide to put a Genos 61, they will do because they want to make a profit! The yamaha will not fail to manufacture a Genos 61, just because you do not want to see a "Genos toy". Whether or not you want it does not matter to them but the market. This is my point of view! Does having 61 keys make the keyboard a toy? The Tyros 5 was the second high-end arranger from Yamaha to have 76 keys. The first was the 9000 PRO. The 9000 PRO overall sales were not stellar and the keyboard itself had an under-powered CPU. Yamaha chalked it up as an 'experiment' and ceased production. Then lo and behold Yamaha decided to make a 76 key Tyros 5 and as it turned out it sold way more units than its 61 key counterpart. Yamaha likely decided 76 keys was the way to go and so now we have the Genos in 76 keys only. 76 keys gives you an extra octave and then some which is more attractive for mainly piano players. The acoustic grand piano is basically the most important instrument on a keyboard and therefore Yamaha did many people a big favor by making the Genos 76 keys. I would also like to see Yamaha make a 61 key Genos 2. 61 keys is primarily beneficial to organ players. Other people might like it because it would be lighter and thereby more portable. Giving people a choice is consumer friendly as it satisfies a larger segment of the population. But what I would really like to see Yamaha do is make an "88" key Genos 2 giving people an even greater option to chose from. That probably won't happen though since most arranger players are older and the added weight could be burdensome for some people especially if they gig. 76 keys is a compromise and the Genos is also very lightweight and plus it is selling like hotcakes which is a testament to Yamaha's marketing genius. A 61 key version of Genos 2 would probably sell fairly well also but the current Genos is so lightweight when compared to the Tyros 5 that Yamaha may stick with its current winning formula since the Genos basically appeals to both 61 key enthusiasts and to the much broader piano player enthusiasts who prefer more than 61 keys. And really would not want it, size and weight is important when you’re out there. As a pro entertainer/musician for more years than some of you have been alive, I can assure you that I, and many of my counterparts, never needed more than 61 keys to perform any song. Calling any keyboard of this stature a toy is an insult to not only the manufacturers who invested an enormous amount of time and money into it's development and production, but also to the many, many pro musicians that perform daily using a 61-key arranger keyboard. If you MUST have more keys in order to perform a song, maybe you should have purchased a piano, or a CVP. And, if your wish is to extensively reprogram every sound in the keyboard to fit your wish list, then maybe a 76-key synth midi'd to a PC or Apple is what you really need. I, personally, know hundreds of Pro players throughout the world, and none of them ever wanted to become software engineers in order to earn a living with their arranger keyboards. Essentially, we just want to plug them in, power up and kick off with the first song of the set - nothing more, nothing less. Now, I, for one, made a damned good living performing with a 61 key arranger keyboard. I worked more than 450 jobs a year for many years, supported my family, built a home out in the sticks on 5-1/2 acres of wooded ground with a trout stream running through it, purchased a sailing yacht, and still managed to stash enough money away for my eventual retirement. And, it it were not for my failing health and a terminal illness, I would still, at age 77, be on stage performing 7 days a week with a 61 key arranger keyboard. For full-time entertainer/musicians, the advent of a 61-key arranger keyboard made life a lot easier. I once owned a PSR-9000 Pro - it was brutally heavy, bulky, difficult to transport and didn't provide any more features than any 61-key keyboard of the same era - It just had more keys, some of which that rarely were played. For home players, the number of keys may be an important factor, but for those of us out there performing every day, those extra keys don't make a bit of difference in the grand scheme of things. The 61-key arrangers were much lighter, had the same features, sounded just as good, they were much easier to carry and transport, took up less space in the car and cost a good deal less money. What's not to like. At one time, I had an 88 key controller attached via midi to my 61 key arranger, and quickly came to realize that I mainly played in the middle 61 key area of the 88 key controller. 88 key controllers were designed to satisfy piano players - not arranger keyboard players. The controller was taken back to the music store the following day. I anticipate that Yamaha will come out with a new PSR model that will have all the features and sound of the Genos within the next few years. You can bet your bottom dollar it will sell like hotcakes! Unfortunately, I will not likely be around to see or hear it, but for you youngsters out there, I think you will really have lots of fun with it. I was definitely misunderstood! That's a fact! I have a lot of time 61 keys keyboards, and I did pretty well! The PSR it take part of a class of keyboards that I see more as a home production music, not to gigs... Is my opinion, at least for my country! Here we have a lot of custom voices, ethnic voices, sampled in a very good quality, and that makes the differences between keyboards, even brands! You never can compare a 237 MB of one voice sampled (I have in Genos) with a 16-20MB of the same voice in PSR... Because it is about memory! No, I'm not a piano player (BTW, they want 88 keys, and hammer, if it is possible ), basically in my country we play more romanian folk music I know other genres too, there are more than 25 years (not days, not months) of playing keyboard (and for a couple of years, bass guitar, and acoustic guitar)! Why I want a 76 and not a 61? The simple way is that I can split the right part in multiple parts... For each instrument I can set the octave that I want to sound as natural as it should (and in this case will be in their range of activity ), I could set what DSP I want to each other. I can bypass in a way the SSS problem I have some songs that needs a quickly change of instruments in the instrumental part, which means I has to find a way to use them in the same time, without change registration or OTS. The spilt point is what is about, it helps me a lot. This is about how complex is the music you sing, in general. ***, I didn't know such a word can create such a disaster! Please look at my initial post... I did not say anything about players or to insult players! Meaning of "Toy" does not mean "small"... Yes this is one of the problems with people around the world trying to communicate if English is a second language or people are using translator software. My S970 is NOT a toy. Tyros 1, 2, 3 and 4 : 61 keys only. Tyros 5 : 61 and 76k. Yamaha decided to launch a 76k arranger keyboard to be competitive and to please their customers, IMHO. But then again keyboards are both for having fun or support a living. So, words are just words,no big deal. That feature with the split point in right hand and the use of extra voices is a very good thing indeed. From everything I have read on this, the primary reason Yamaha decided to launch the Genos with 76 keys was because of the consumer reaction to the Tyros-5 76. The demand for the Tyros-5 76 was overwhelming in comparison to the Tyros-5 61. Obviously, Yamaha decided this would be a good move, financially, and they guessed correctly. The demand for the Genos is far beyond Yamaha's production capabilities and nearly everyone has it back ordered at this time. PS: I have updated my signature, and I have wrote my country in it... Maybe before "pull my ears", correct me, or ask me what I intended to say using some words or expression... we are not every day english language speakers! For those of use who speak British as a first language, we would find it quite difficult to translate our thoughts to a Slavic language. I have tried to learn Polish, for example, but found it extremely difficult, even when being taught by a Polish friend who frequently sails with me. Therefore, for those on the forum who do not speak British as a primary language, the best tool I can recommend to find the meaning of a word is Wikipedia. Just Google the word, and look at what Wickipedia provides for Toy. Have fun and play, it's fun! Its explained to me, but at no point did I get angry. I just countered his claim that it would be a toy. But now I understand everything I wanted to say. About Romania I really like to research some things and I discovered that you use many words that also speak in Portuguese. I too use my 61 key instrument to earn a living. It is not what keyboard you have, or how many keys it has. It is what you can do with it that counts. For some users, all the extra real estate will remain unused. But I understand Valimaties position. It is just a misunderstanding of a single word. create quite a few problems. We shouldn't be overly sensitive. 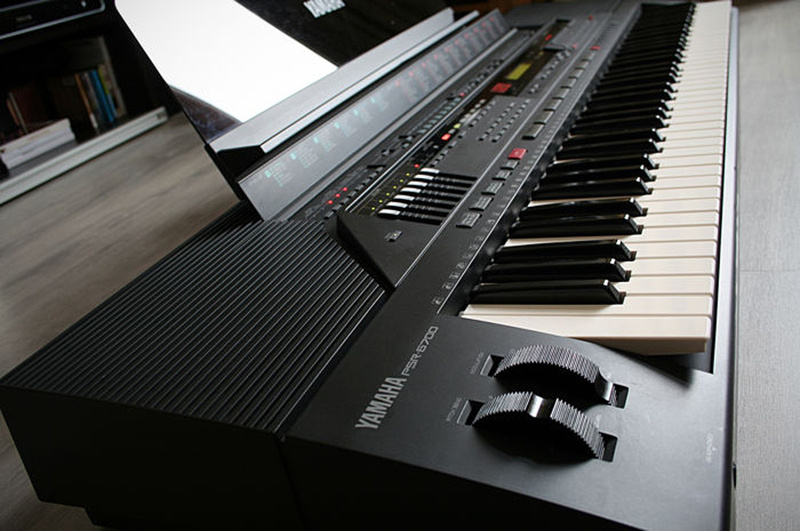 The Tyros 5 was the second high-end arranger from Yamaha to have 76 keys. The first was the 9000 PRO. 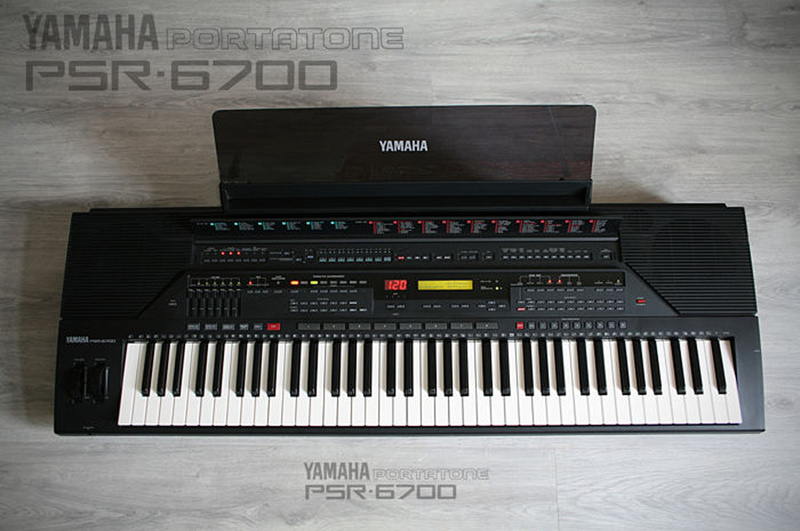 Hi Mike, I think you'll find that the PSR-9000 Pro was not the first 76-note Yamaha arranger, as I had a 76-note PSR way back in 1991... it was called PSR-6700! I wonder how many of you guys here have actally owned one... or are even aware that such an arranger ever existed? I owned a 6700 and what a lovely instrument that was. It weighed a ton and was not midi but what a joy to play. I owned the forerunner to the 6700 - the PSR-5700, with 61 keys and some incredible sounds and features. However, it only had 35 styles and about half that many voices, and it weighed a ton. What a beast to lug around every day. It had a built-in 50 watt amplifier. I have had four arrangers with 76 keys, and probably 25 with 61. I much prefer the 76 key arrangers, except for the portability issue. Having those extra keys means you don't have to use the Octave buttons, and you can split the upper side to have your choice of two or more sounds instantly. Apart from the Roland BK9, the Genos is the lightest weight of any 76er I've had, and if I were in the market, it would be a heavy influence to get one. I think all this controversy over what is a "toy" is really silly. The man told you he meant no disrespect and we should let it drop at that. I'd hate to have to communicate in another language. I'd more than likely call someone's mother a bad name and be banned for eternity! I don't use splits. I use the OTS buttons to change Voices on the fly. This can also be done with registrations. Both ways work quite well. And tapping on the Octave Buttons is a piece of cake when I need to play in the higher registers. Just goes to show that we don't all use our keyboards the same way. This topic had nothing to do with "a toy"
A smaller dimension with the same features would be my preference. 61 Keys works fine for most folks. That said, I had no idea how much added versatility 76 Keys gives to an instrument. Back in May 2014 I instigated a survey of who owns or is planning to buy a T5 61 Vs T5 76. Here is the link. Very likely why Yamaha only produced a Genos 76. I owned the forerunner to the 6700 - the PSR-5700, with 61 keys and some incredible sounds and features. Many did comment that it was a rather confusing method of model numbering/naming at the time. Making more sense in that particular respect was the model that preceded the 6700, it was called the PSR-4600... I owned one of those too. Crikey, where have all those years gone to?! Coming from many years of Technics KN's and othe 61's, my first 76 keys was Ketron SD1, loved it, next Roland G-70, loved that too, and when got T4, I really missed the 14 keys not there. Love the 76 Genos keys, and weight is quite lower than T4 because of 'plastic fantastic', and measures not much more than T4. There are allready some rumours about that Yamaha will continue T series. Probably a false rumour, but I won't be surprised if PSR series will be replaced by Tyros, and Genos continue deeper into the pro workstation / synth direction. Only time will tell. Yes I did stick to 61 note keyboards when gigging. The 76 note Tyros 5 was so big that it would not fit into a lot of peoples cars and was very heavy. Genos on the other hand is much more compact and lighter to carry around. This seems to have been very well thought out by Yamaha and I believe it is the fastest selling keyboard so far. I am more than happy with mine. I also still have my 970 which is a great little keyboard and ideal for home parties etc. I thought you couldn't split R1 and R2, just layer them? I'd love to find out I've been wrong all these years! Style/Left/R1 R2/R3 => four parts. I didn't realize that! I'm staying with what I have for now, but that's something to file away for the future. The 76 has several advantages besides additional splits, - it comes closer to full piano size for those who sometimes play that way, and more bass while playing that way, it gives more ‘room’ for chording positions in LH even with a single split and more room at the top end, especially important for playing in wider range of keys because in 61 key mode the keyboard is a bit of a C biased instrument. But there are trade offs in cost, size, weight. So people weigh those trade offs differently. Don’t think it’s simply about gigging versus non gigging, more about how you play, and what you consider important. Many gigging musicians will prefer the extra keys even if it makes it a bit bigger and heavier. 61 keys,76 keys or 88 keys? For a little rat even to carry my house key with me is too much allready. But then again, nobody is perfect. A 61-key Genos should be cheaper, encouraging many to buy it. There will most likely never be any 61 keys Genos, and if, it will not be any much lower in price. Simply because of the production costs and the amount of units they have to sell to make it profitable. If it was available before the 76 keys, maybe, but not now when 76 is a fact. The 76 note Genos is selling so well and fast that I can't see a 61 note ever being produced. I think the nearest will be when the successor to the S series is released in a couple of years maybe. Genos 2, I think will carry out the T2 vs T1 history : they will move registrations, in place of registrations they will put the sliders, probabli they will cange the fixed screen with a motorized screen, and of course they will add more new features. Personaly, I will love to see the fills detached from mains (as new buttons), I will love to see a style bar reset button (this could be implemented also in Genos by an assignable function), I will love to see a flip touch screen, and the back of keyboard more linear to be able to use L jacks. Hi Will. You're right. I didn't know about the PSR-6700. Thank you for enlightening me. After doing a little research I found out it was in fact a high-end model that cost around $3,000. It also weighed a ton as Eileen so succinctly stated. At 53 lbs. it probably wouldn't have lasted too long in today's market since most arranger players are either older and/or retired. Yamaha clearly wants to change that image and that's why the Genos is now being marketed to a younger generation. Electronic Dance Music has also grown in popularity and the Genos is more geared toward that genre of music just like the Montage. Young people don't want to lug around heavy equipment either and so kudos to Yamaha for making the Genos lightweight and thereby extremely transportable. For what it's worth my 61 key Tyros 3 weighed more than the Genos. The Genos is also the bee's knee's as far as aesthetics but that PSR-6700 doesn't look too shabby either. And you can buy one on ebay for around $100 from what I understand. Depending on how good it sounds it could be a good starter keyboard for some young arranger enthusiast. As for me personally I think I'll stick with what I have. I had the 6700 and it was absolutely fantastic. I switched to the 5700 because it was easier to handle. As a fact they shared some of the same styles and still have the 5700. I has some wonderful 4 bar and 8 bar styles I dearly miss on the later models. The country style fits Rambling rose better than anything I have found on later models. My first Yamaha arranger style keyboard was the mighty PSR-6300. Man, was I blown away by that thing! Good times.